The initial reaction about a collection is what pushes us to write about it. No matter if it's a good or a bad one. We have to express our first impression because it's always the good one. A collection needs a great impact to get people to be passionate about it. 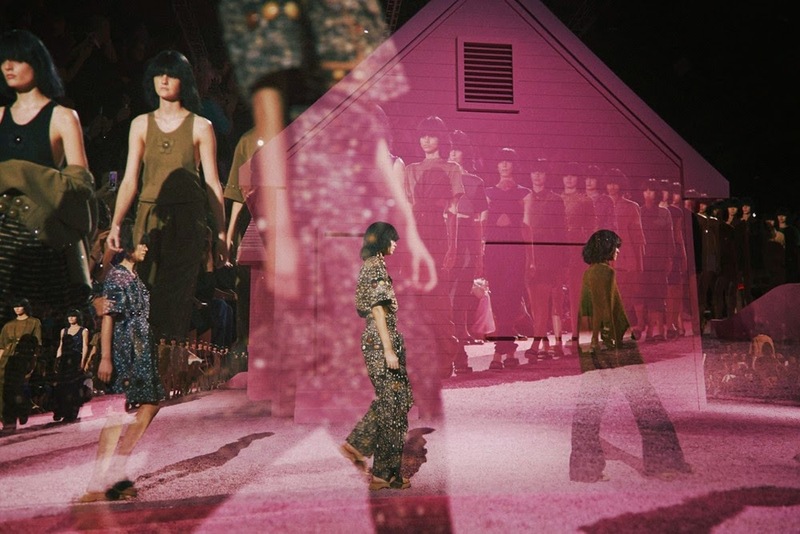 At the beginning of the New York Fashion Week Spring Summer 2015 we were wondering what we would think of the lastest Marc Jacobs collection. The AW14 was not what we expected him to do and we were not wowed by the first silhouettes on the catwalk. It was a great surprise but not in a good way. But, Jacobs made a point, he surprised us. The SS14 collection was one of our favorites so far: Victorian Age era meeting Tropical Malady meeting Coca-Cola meeting Gothic romantic. Not sure if it was a commercial success but he edited one of his greatest hit collections for us. Actually, Marc Jacobs collections have always produced a strong impact upon us. People could not have mixed emotions about what he creates. It is a game of love and hate which is the definition of passion. Our serious love affair with Jacobs was the subject of one of our very first posts for W.A.R.M. so we do not need to mention it again. Once again, the Spring Summer 2015 will remain one of his greatest hits. We were enchanted to watch it live staying late not to miss a thing. The utilitarian trend is spreading like a pandemic disease but when Jacobs does it he pushes the trend futher and delivers something unique and personal. 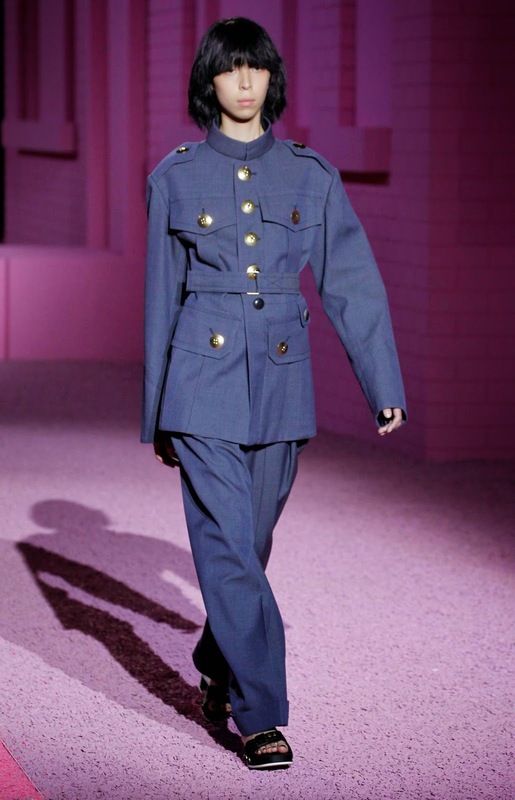 Rei Kawakubo imagined a utilitarian Soldiers of Peace collection for her Spring Summer 2015 Comme Des Garçons Homme Plus and it has surely produced something on Jacobs because he loves what she does (the models haircuts look like her's). We are sure that the main reference of this collection comes from Comme des Garçons. Other references are less obvious and quite mysterious like the giant pink house standing on his catwalk. We are still wondering if it was a joke because nothing has to be too serious with Marky Marc. We are not venturing on the hazardous explanation even if this piece of art makes us think of a metaphor for home/family in the land of plenty. The collection revolves around the idea of uniforms and the re-interpretation of classic garments from menswear. The intention was not to drop another femasculinity. It was more about starting with this idea of menswear, disrupting it to produce a new femininity. The other point was to push creation further by doing something new. Jacobs focused on editing this season as if it were his first collection. The recycling and deconstruction process of the menswear wardrobe was the starting point then he gave it a new definition by re-thinking each piece of a woman's wardrobe like the concept of a dress, of a suit, a jacket, pants, a shirt, a skirt or of a sweater. 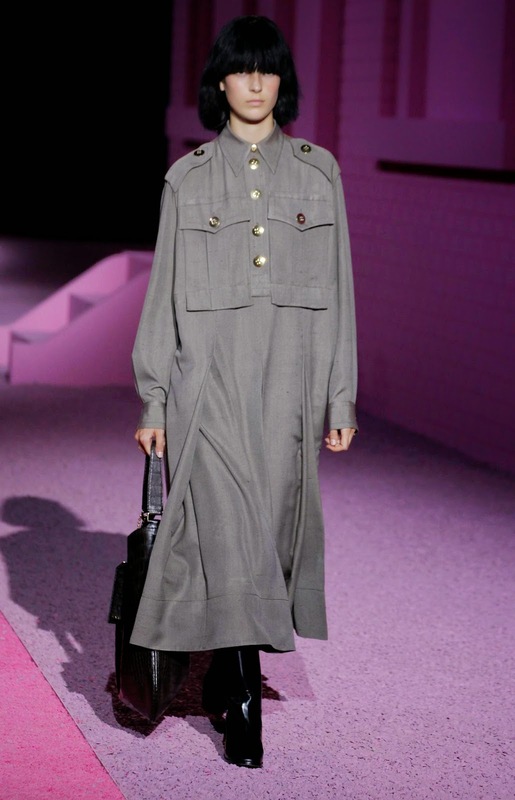 There were several variations of dresses looking like a belted trench coat or like a military long coat or a belted t-shirt. 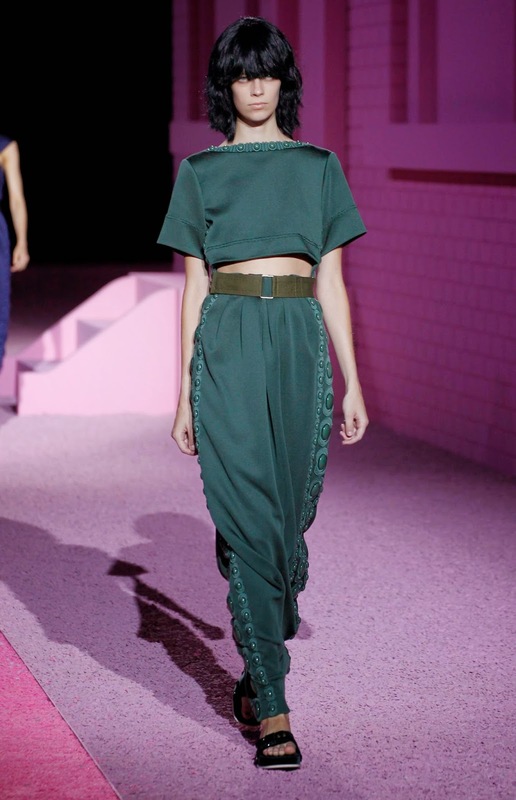 The suits were composed of a belted military jacket paired with cargo trousers. One could not forget the boxy workwear vibe of the shirts with the shorty-short skirts worn very high as much as the oversize sweater with big pockets. All these goods were embellished with big buttons, large pockets (where we're sure you could put your whole life into them!) and smaller ones. Another strong point of view was the models wearing flats embellished Birkenstock-like-sandals and not heels. This collection is quite too much. There were literally a lot of excess and exaggeration in the styling and in the proportions. But we love the eccentricity that brought Marc Jacobs season after season even if sometimes we are not completely seduced. Marc Jacobs is a showgirl! He cannot create without delivering high fashion. No matter how people will react to his current and past collections, he will keep on doing what he believes in. Jacobs knows he has to sell clothes and not pieces for museum, the commercial perspective of this collection is obvious. Business is important but it's his creativity that comes first. That's the main difference. Creativity is what makes people coming to the store to buy the clothes. The question of how wearable is the collection comes afterward.